How to Restore Certain Apps from iCloud (iOS 12 Supported)? Do you want to restore only certain apps from iCloud, instead of the entire backup? If you don't want the whole backup, it can be kind of a waste of time to get the whole thing from the backup. Is there any way to do that, though? Is It Possible to Restore Certain Apps from iCloud? How to Restore Certain Apps from iCloud? 1. Is It Possible to Restore Certain Apps from iCloud? The truth is that iCloud can't selectively restore data from certain apps and not others. Due to Apple's inherent restrictions, you can only restore entire backups. Thankfully, though, there is a tool that you can use that will allow you to do this. Or, you can use other operations, like iCloud Syncing, to get certain apps from iCloud. Restore specific apps from iCloud/iTunes backup, without affecting the other data on your iOS device. Back up specific apps on your iOS device. For example, you can back up only WhatsApp data on iPhone. Export data from your iCloud or iTunes backup to your computer. Once there, you can use the data however you want, such as viewing or printing data. With the free trial version, you can actually do a lot – back up your iPhone for free. It is compatiable with iOS 12/11/10/9 and etc. (1) Install iTransor on your computer. Click where it says Restore Backup to Device, then you will see all the iTunes backups, iCloud backups (if you have downloaded them with the program), and iMyFone backups (if you have backed up your iPhone free of charge by the program before). 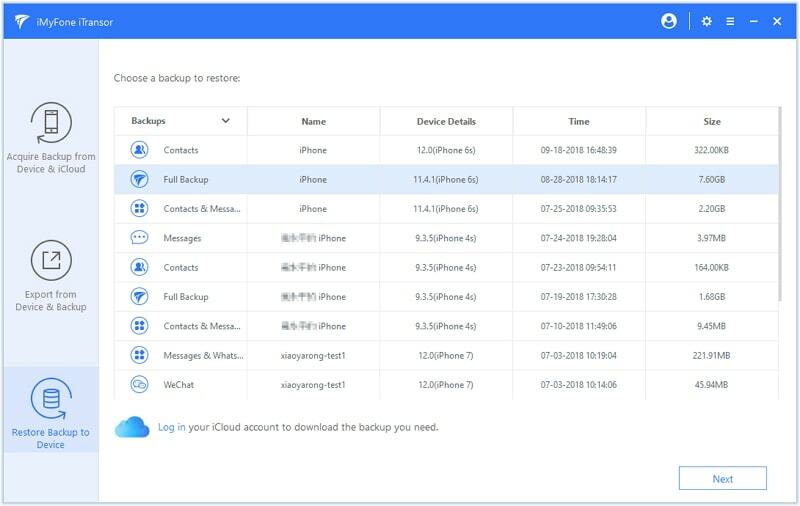 If you haven't downloaded the iCloud backup, you may need to download it first by clicking the link at the bottom of the list of backups that says Log in. (2) After you put in your iCloud log in details, then you can select it and click Next. 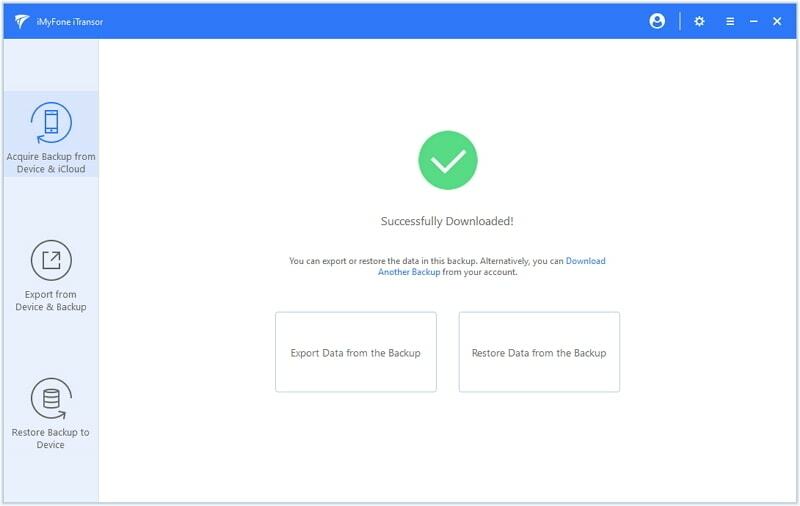 (3) After downloading, you can click "Restore Data from the Backup" to proceed. (4) Form here, you will see a list of the specific app data that you can restore. 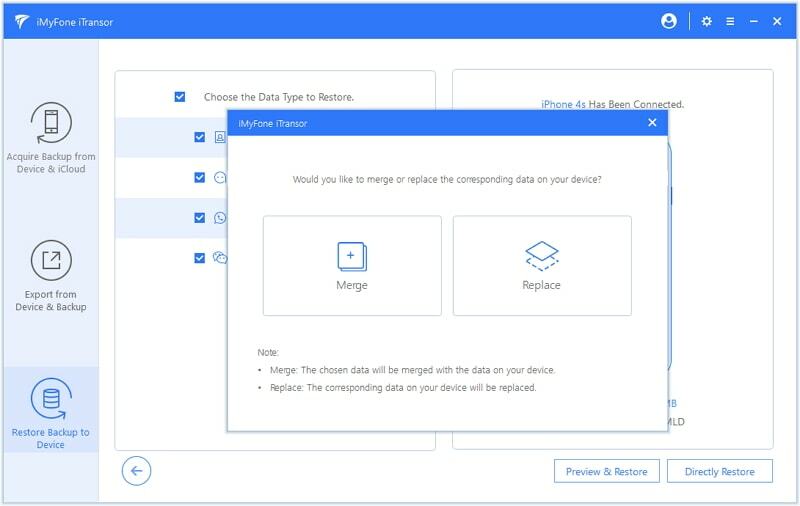 After confirming they are what you need, connect your device to computer and choose one restore option according to your needs. (5) Read the notes carefully to learn the differences between "Merge" and "Replace". Then wait for the restore process to finish. Note: the most popular or important apps for common users, such as WhatsApp and messages, are already supported to restore, but many more data types will be added in future updates. You can also sync your data from iCloud so that it shows up on your phone before you restore your iCloud backup. If your data is stored in iCloud, syncing can make things a lot easier. 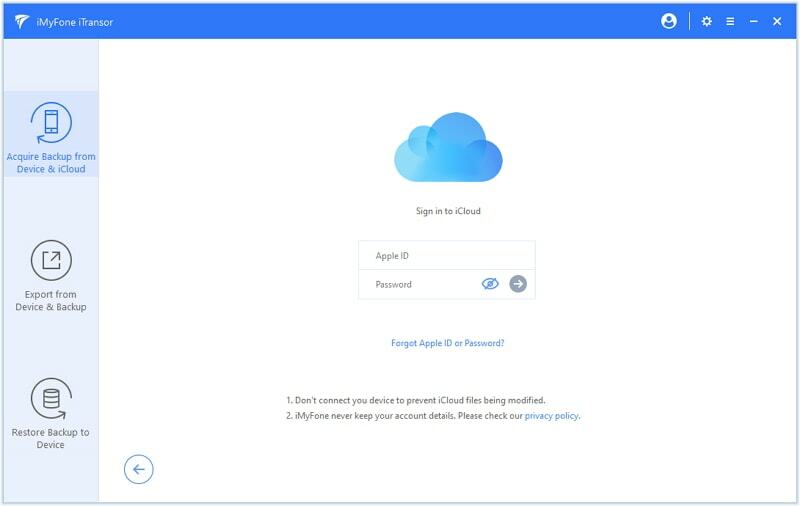 Simply go to iCloud.com and see if your data is stored there. If unfortunately the data you need is not there, then there is no need to sync data back to iPhone. If it is, then follow the steps below to sync the data. (1) Go to Settings > iCloud on your phone. 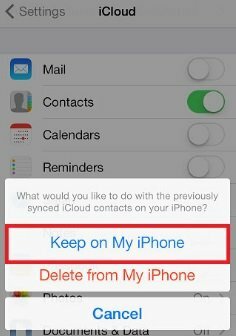 (2) Toggle your contacts to "off" and confirm that you want to keep your contacts on your device. 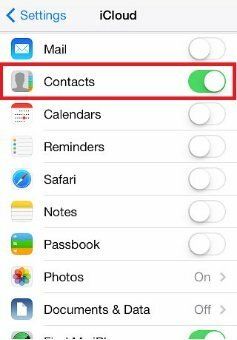 (3) Toggle your contacts back "on". 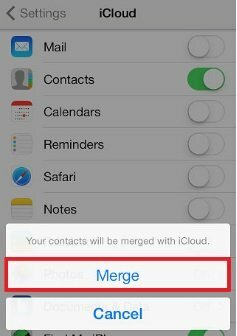 Now tap "merge" and the contacts that are saved in your iCloud account will sync with your device after some time. 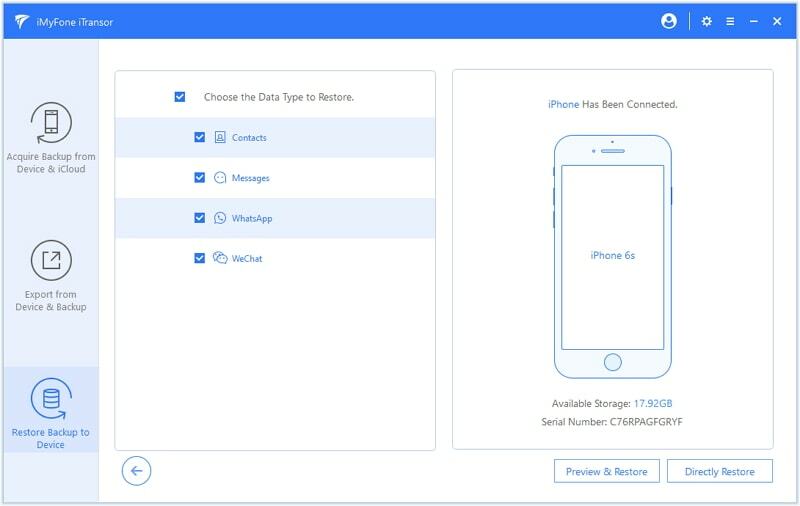 It's easy to sync your iCloud data to your phone, but the data stored in iCloud is mostly same with the data which is currently on your iPhone. Luckily, with iMyFone iTransor, you can also restore certain apps from iCloud. 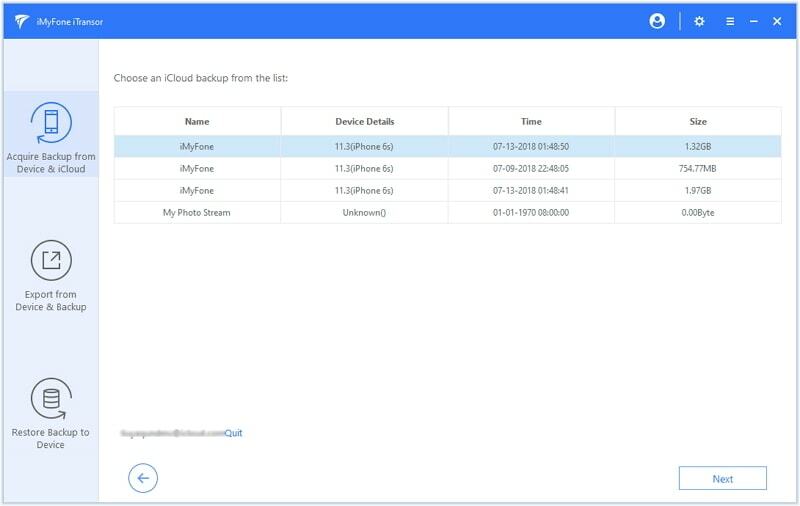 This method can save you a lot of time and storage, and some of iTransor's features, such as backing up your iPhone or viewing your backups, are even FREE. Download and try them now!